Your Query has been submitted. To boost your PR ROIs, drop us your contact details below. What have you got to lose? 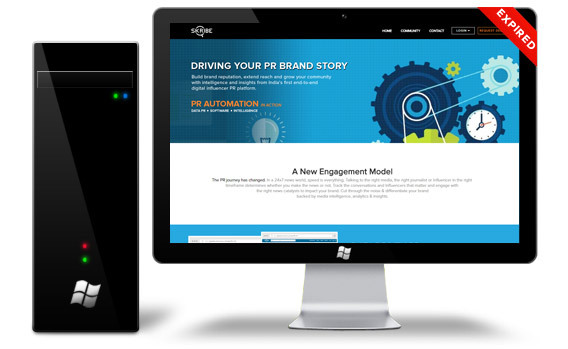 Better conversations, faster results through rich, ready media intelligence. Talent is an issue across various sections in the media industry. While advertising, media planning and other verticals have had their say in this, Public Relations (PR) too has its share of challenges when it comes to talent hunting. Fred Cook, Global Chairman, Golin was in Mumbai a few days ago to unveil their research report ‘Relevance Fingerprint’, which included India as a major market. On the sidelines of his visit, BestMediaInfo caught up with him to speak to him about the relevance of trust in a brand’s journey and how PR is increasingly becoming a branding tool than just being a facilitator. The 2017 Global PR Agencies of the Year are the result of an exhaustive research process involving more than 400 submissions and face-to-face meetings with the best PR firms across North America, EMEA and Asia-Pacific. Analysis of all of the Winners and Finalists across specialist categories can be accessed via the navigation menu to the right or below. Winners are announced at the 2017 Global SABRE Awards, taking place at the PRovoke17 Global PR Summit in Miami on the evening of 25 October. For PR pros, social media was once a novel idea, something to monitor, but today it is a required focus. It is a medium, which is slowly transforming the age-old public relations tactics and trust me, it’s for the greater good. Gone are the days of getting the word out to journalists and the media about a client’s accomplishments through vanilla news releases. Those things are still done, but now the media is a very different animal. Brands and companies (or agencies) are going beyond the basics and incorporating social media platforms to integrate some real innovative approach in the delivery and ultimately increasing the success rates of placements. The Role of Communications in Building Communities was the topic for the inaugural session at PRAXIS, which had Dr Pragnya Ram, Group Executive President: Communications and CSR, Aditya Birla Group and Meena Vaidyanathan, niiti Consulting in conversation. Building the ambience of a “fireside chat”, Meena first checked with Dr Ram about the prominent trends that she had observed, during her long stretch of almost a half-a-century experience in communications. Initially bringing up the topic of the youngsters today, Dr Ram said she is delighted to observe them, and that “it’s the intellect and value that matters”. These firms are facing a quarter-life crisis. These firms aren’t start-ups and in most cases, have completed the 1000-day challenge any start-up goes through. Making it through the initial tough and testing time of any start-up firm, they have demonstrable work to show, an aspiration to change the way the industry functions and may have even gotten their first taste of success and recognition. These firms have made it through the initial education the start-up journey has to offer and as they grow further, they have an urge to find their own identity and be accepted in the established industry and its culture. There is no red flashing arrow pointing you to the job that’s the right fit, and once you’re settled into your position, your journey on the path to success has just begun. For PR pros fresh out of college, learning about new clients also means learning about new industries and taking on tasks that exercise and grow your skillset. Though there is no direct road map for your first year in the PR industry. School is in session, even if you’re no longer in college. PR pros looking to stay ahead of future trends related to their work can continue to be a student while balancing a full-time job. Your 21-DAY FREE TRIAL has expired. To upgrade, please connect with your designated relationship manager.